The question as to whether or not Congress exceeded its authority by giving state employees the right to sue their employer in federal court under the ADA continues to be debated. 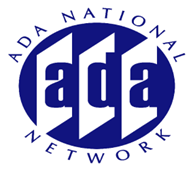 This special session of the ADA Distance Learning series will explore the constitutionality issues and questions before the Supreme Court. There will also be discussion of the previous decisions split amongst the federal circuit courts, the political pressure and the future ramifications for enforcement of Title II.